We write and we edit. We transform ideas into publishing projects. We develop publishing and communications strategies. You can read more about our services here. 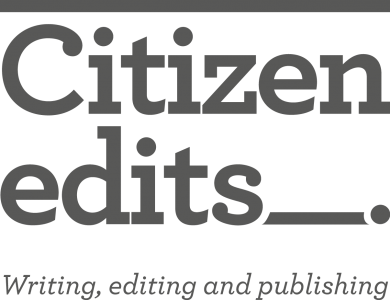 Citizen Edits is managed by Peter Davies, a freelance writer and editor based in Melbourne, Australia. He has studied journalism, editing, arts management and media law and he has worked across educational publishing, magazine publishing, communications, media management and human resources. He enjoys writing about design, media, popular culture and the arts. You can read more about him here. You can see examples of our work here.